Powder is the latest beauty box on the block and one you may have seen advertised in a few magazines lately! 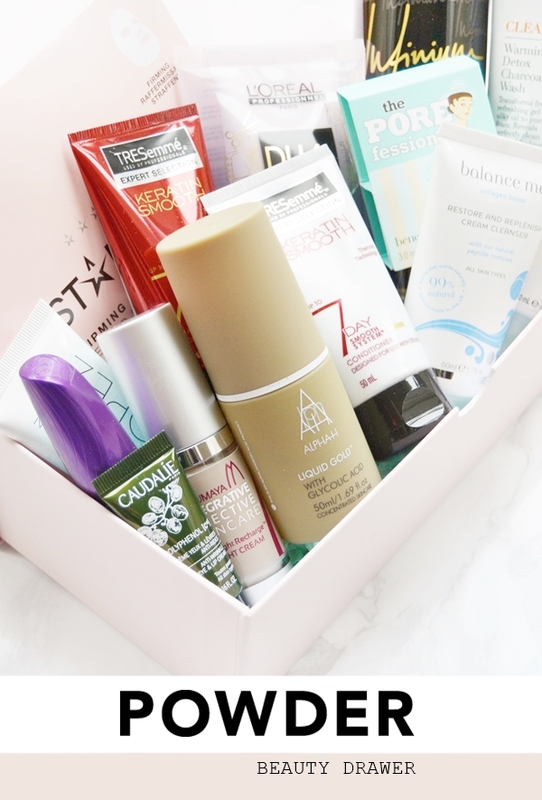 Unlike other beauty boxes it's crammed full of products and is more of a beauty drawer than a box. Also unlike most beauty boxes this is a box that is tailored to you through your beauty profile which is a really nice touch. As for the price it's a single payment of £35 (no monthly subsciption here) plus p&p (normally £5 but free with code'MCFEB' throughout February) but the contents are worth an amazing £113, so you are making quite a saving here! Buy the Powder Beauty Drawer here for £35 - remember to use the free p&p code! Included in the box are 14 products, of which 5 are full size and the rest are mostly deluxe samples. As you can see the box mainly focuses on skin and hair care with only two makeup products, I don't know if this will just be for the first box but for me I find makeup can be the most hit and miss in beauty boxes due to the range of shades that makeup products come in so I really don't mind this kind of box! What's in the Powder Beauty Drawer? Caudalie Moisturiser, STARSKIN face mask (4 types available), Merumaya Cream (3 types available), Balance Me Cleanser, Alpha-H Acid Toner, Caudalie Eye and Lip Cream, Tresemme Shampoo & Conditioner, L’Oreal Professional Hair Spray, L’Oreal Professional Styling Cream (3 types available), Rimmel Mascara, Benefit Primer and St Tropez Gradual Tan. 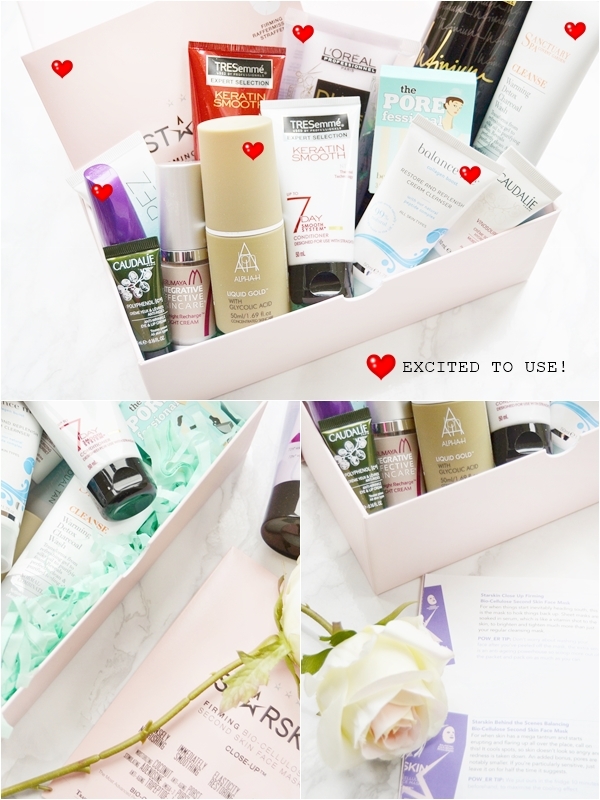 I'm personally happy with all the products in the box and will be using them all, which is pretty amazing! But there are a few star products in the box for me. The main gem of the box is Alpha-H Liquid Gold which is worth £15 and something I've been wanting to try out for a while now. I also love that the new Sanctuary Spa Warming Detox Charcoal Wash is included in the box and I've already been enjoying it! Also the new L'Oreal Dual Styler is a really interesting product with a double applicator of a cream and a gel which I've already used and found really nice for taming frizz and keeping my hair straight even in rubbish weather. I also like the addition of the Starskin Second Skin Face Mask, worth £8.50, as I've tried a few of these sheet masks now and they leave the skin feeling so fresh and smooth. 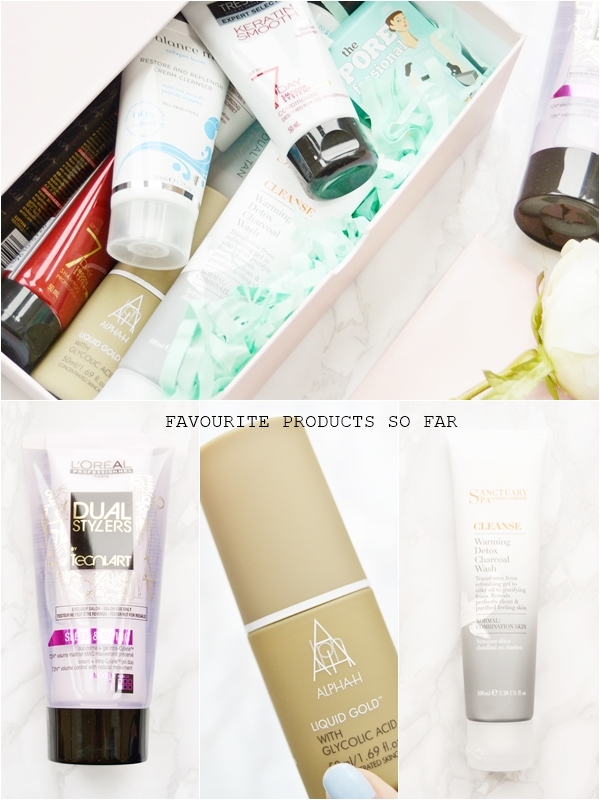 Actually I could go on and on about all the products I'm excited to use because there are so many interesting and new products in the beauty drawer. Of course the Powder Beauty Drawer is a treat at £35 but excellent value for money especially if you know you will use most of the products. I already know I will find a few new favourites in this box and really can't wait to see what Powder come out with next!